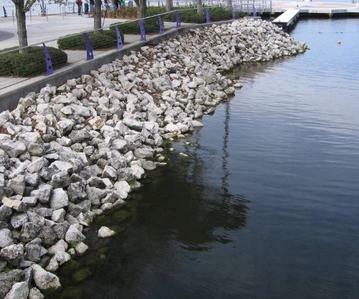 Manage Shoreline Protection by using Barrier Rocks to Prevent Beach Erosion. 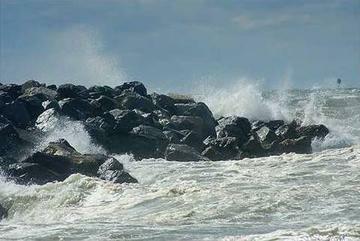 Jetty Rock is used to breakup the wave surge in an effort to manage the coastal beach erosion. 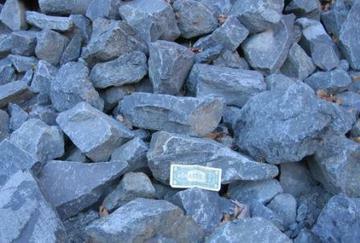 Shoreline Erosion control with rocks will protect against some of your property loss. This core stone is mostly 4" to 8" in size, although it does vary as you can see by the comparison to the 6" dollar bill. LI Shoreline Erosion can be Controlled & Prevented with RipRap, Core, & Jetty Rock. Skyview Stone can have this product delivered to your jobsite, home, or business. Protect you Long Island property from wave damage, shoreline rock jetties help with managing beach erosion. 4" - 8", 8" - 12", 12" - 18". Trailer loads of 35 tons , or Tri-axle Truck loads of 23 tons. SKYVIEW STONE can deliver the materials you need . State, County, City, Town, Village: Call us for your needs! that God held the Sun and the Moon, in their position for a day, almost 24 hours, because of the prayer of 1 man ?